According to the USDA, Americans waste anywhere between 30-40% of their food supply per year! And over half of this waste comes from fruits and vegetables. To be fair, this includes items like banana peels, apple cores, and - you guessed it - carrot tops. The best way to combat this large amount of food waste is to learn to make the most of your food. So to get you started, here’s a little recipe for pesto using the often discarded tops of carrots. However, you could replace the carrot tops with celery, spinach, beet leaves, dandelion leaves, radish greens, or basically any other green item in your fridge that you don’t want to waste! 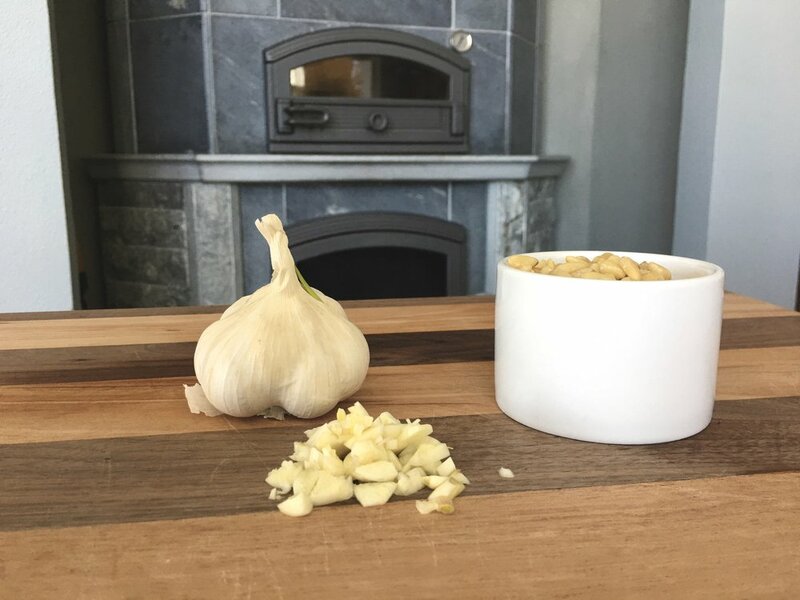 Roughly chop the garlic and place in a food processor or blender along with the pine nuts. Pulse until it creates a rough, almost paste-y texture. Roughly chop the carrot tops and basil and add into the food processor. When the mixture starts to resemble pesto add in olive oil to taste (you won’t need a ton) and some salt and pepper. Continue pulsing until you have reached your desired consistency. If you just want some good ‘ole pesto you can end here, but if you want some ideas for more ways to use this sauce then check out the two options below! 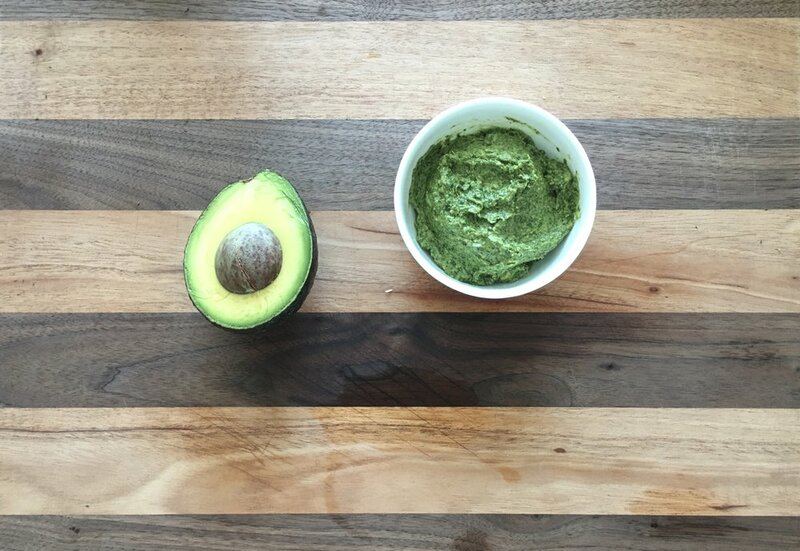 All you have to do for this variation is roughly cut up the avocado and add it into the food processor along with the already made pesto. 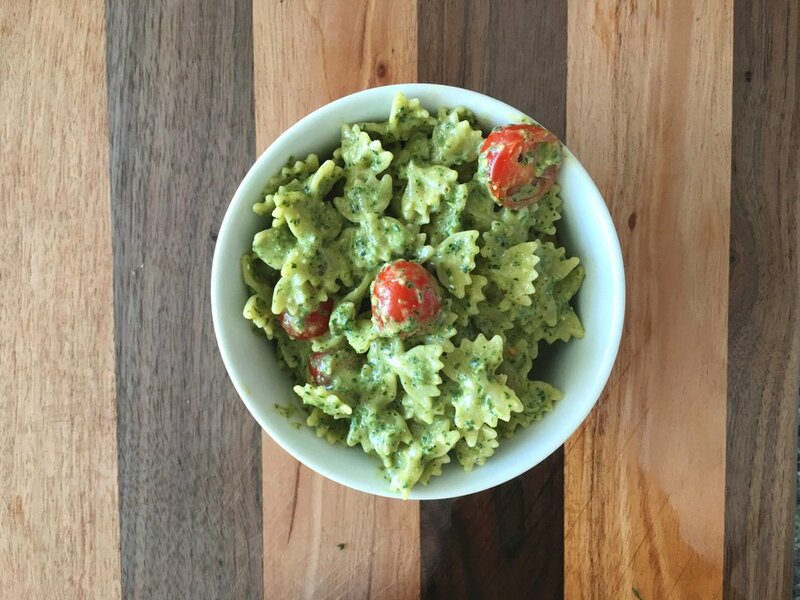 I like to spread this pesto on bread with some tomato and even sometimes some more avocado! Heat up the olive oil then whisk in the flour to create a thickener. After a few minutes, slowly pour in your desired amount of milk. Raise the heat to bring the mixture to a boil, then immediately bring it down to a simmer for about 5-10 minutes. Once it thickens add in the pesto and cherry tomatoes. Pro tip: substituting about half the milk for full fat coconut milk can make your sauce even creamier! I’d love to know if you try out this recipe! Do you have any go-to recipes for using up the tossed away food in your kitchen?